All About Business was a television program spotlighting some of St. Louis’ most successful businesses. Airing on local channels, the show featured segments that highlighted the trends, topics and stories that make St. Louis a unique and entertaining location for new businesses, as well as established companies. All About Business also featured a weekly radio show on 550 KTRS each Sunday morning. 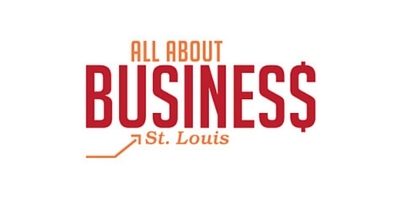 All About Business connected the more than 20,000 businesses in the St. Louis Metro area with potential customers, as well as with their peers. Biggest Challenge: Determining the right price point for small businesses to incorporate professionally produced video into their business strategy. Outcome: Productized video production and media placement options. Services Provided: Branding, Business Process Improvement, Call Strategies, Collateral Creation, Content Creation, Database Creation & Management, Email Marketing, Event Management, Graphic Design, List Management, Media Buying, Sales Process Engineering, Search Engine Optimization, Social Media, Video Production, Website Creation & Maintenance.